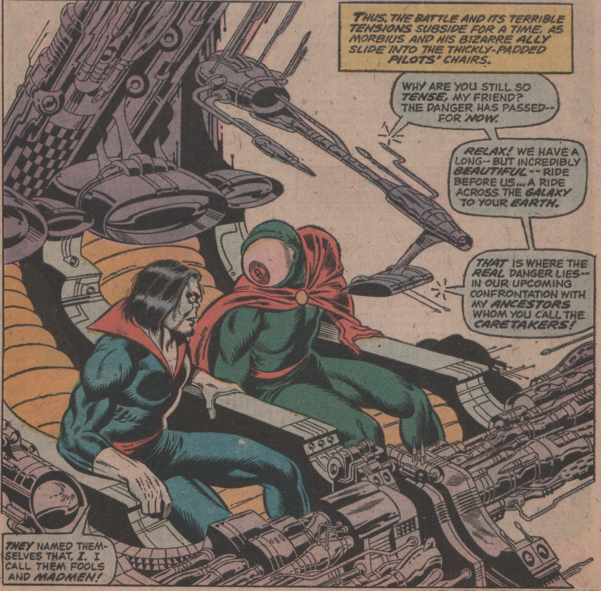 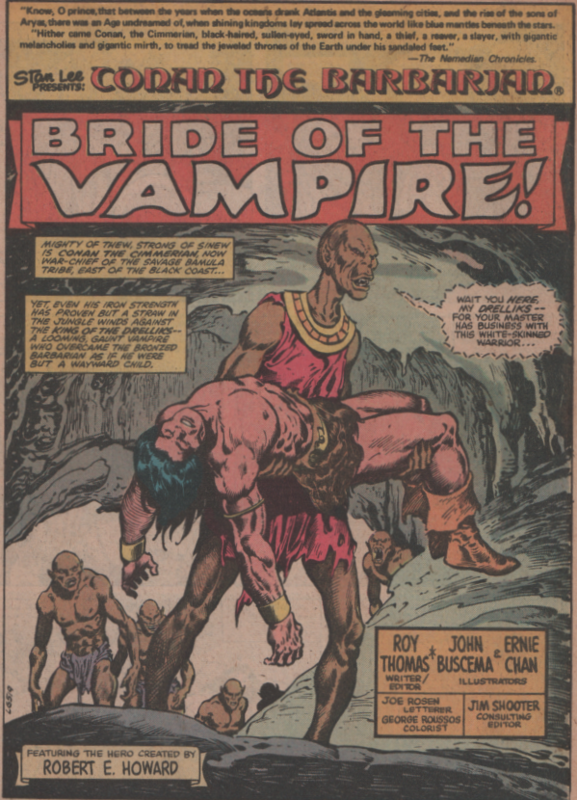 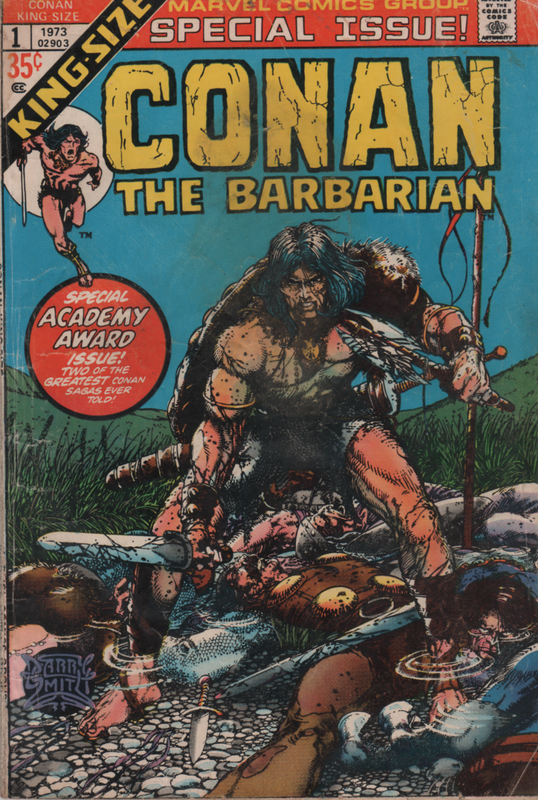 Roy Thomas | Magazines and Monsters! 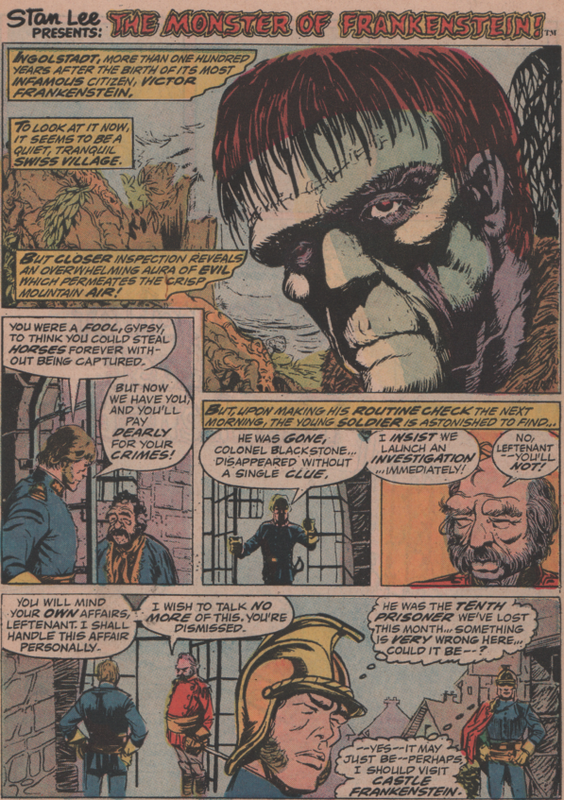 There is probably not a more iconic of a monster than the Monster of Frankenstein! 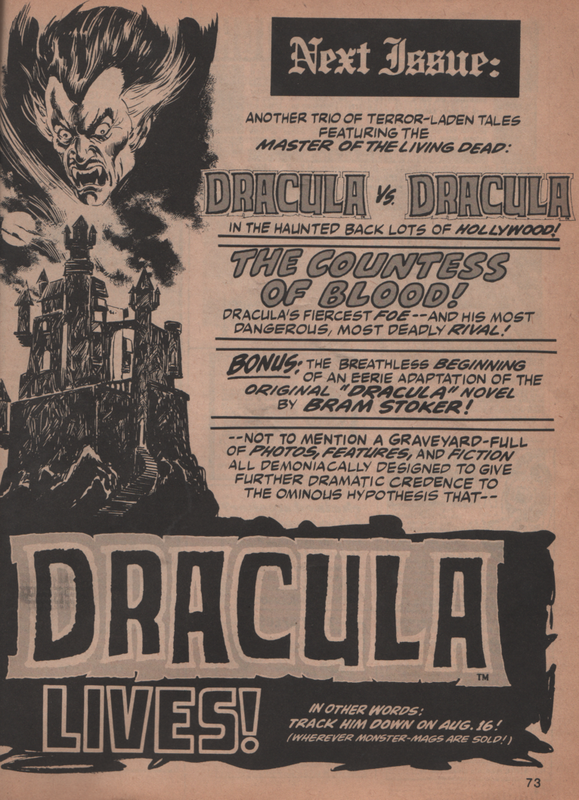 The 1931 classic film (and the first sequel) is undoubtedly in the pantheon of great films because of its significance, and because it was great with excellent performance by Colin Clive and of course, Boris Karloff. 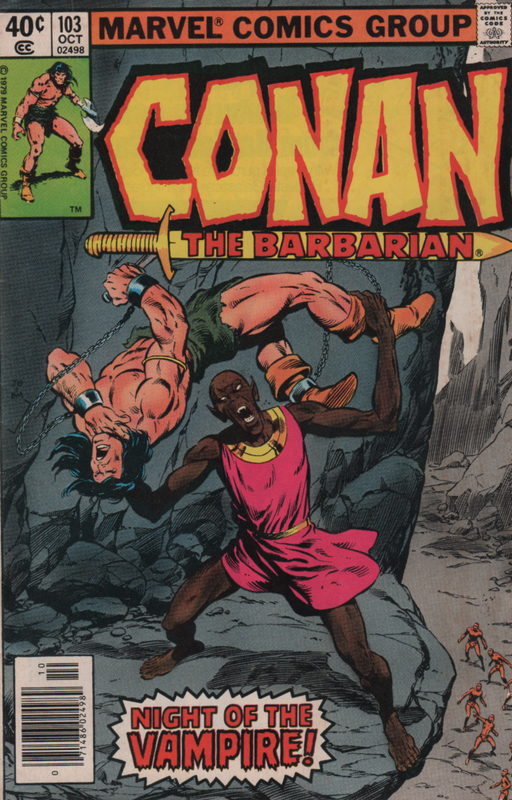 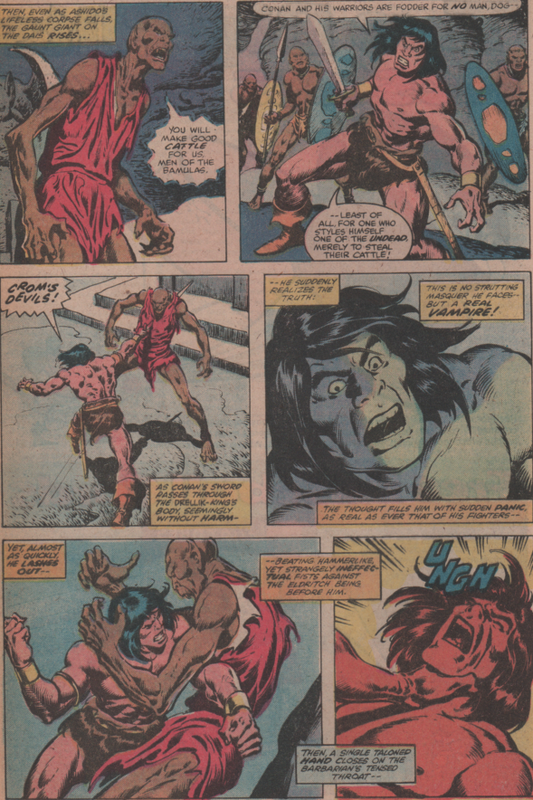 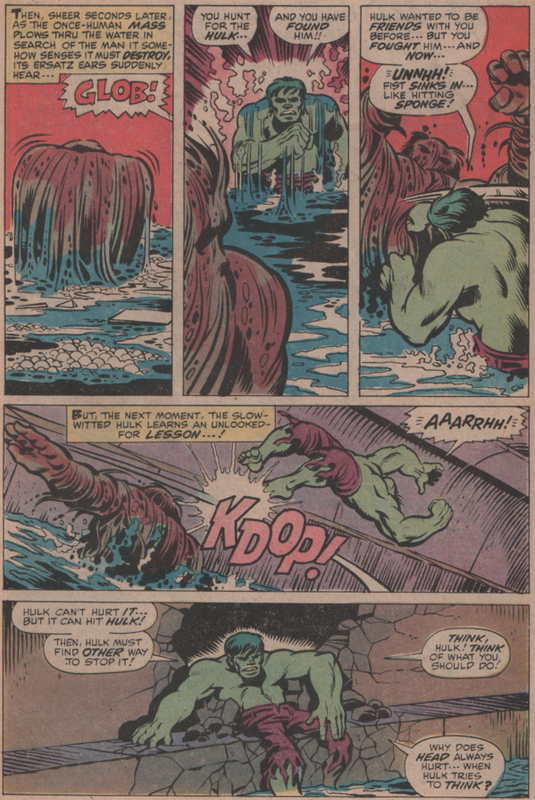 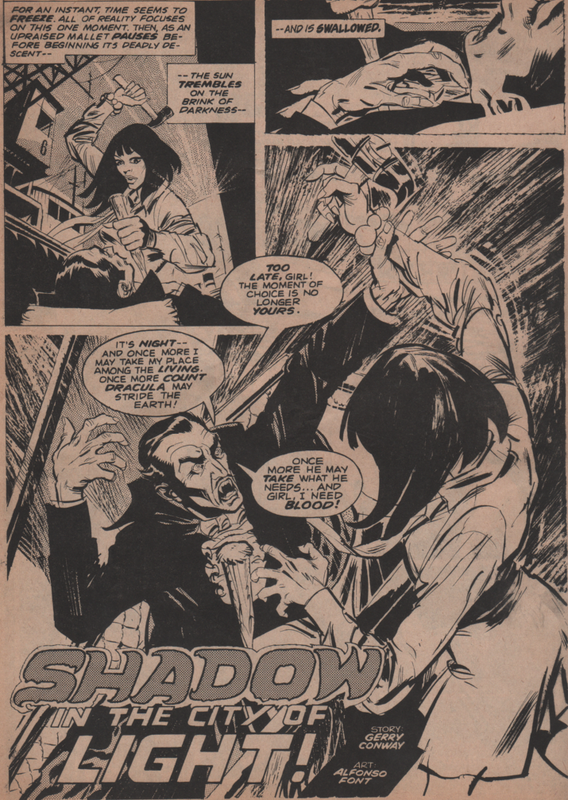 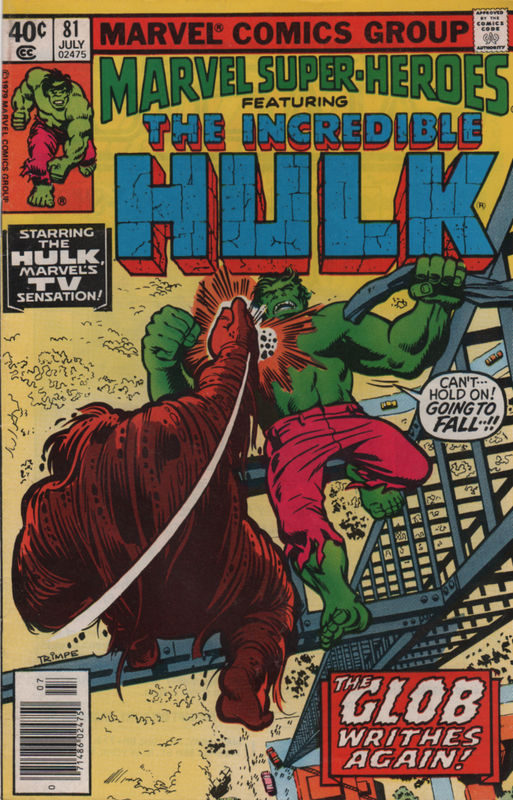 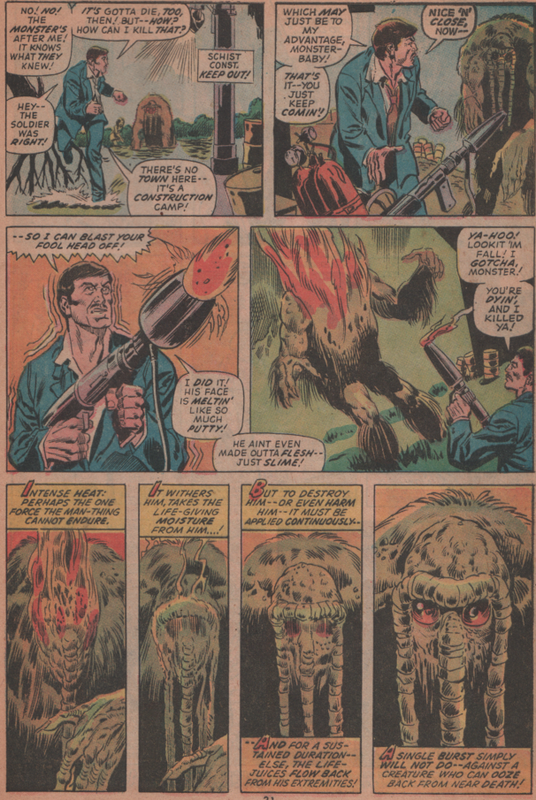 Fast forward to the 1970s, and we were presented with an adaptation of sorts for the first few issues by Mike Ploog (the artwork is excellent) and Gary Friedrich (good script by Gary as usual). 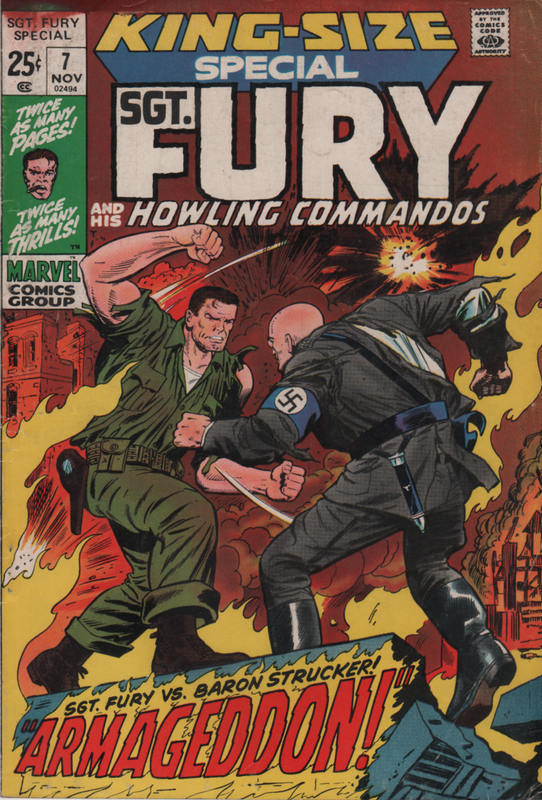 These two creators were perfect for the book and the time in comics. 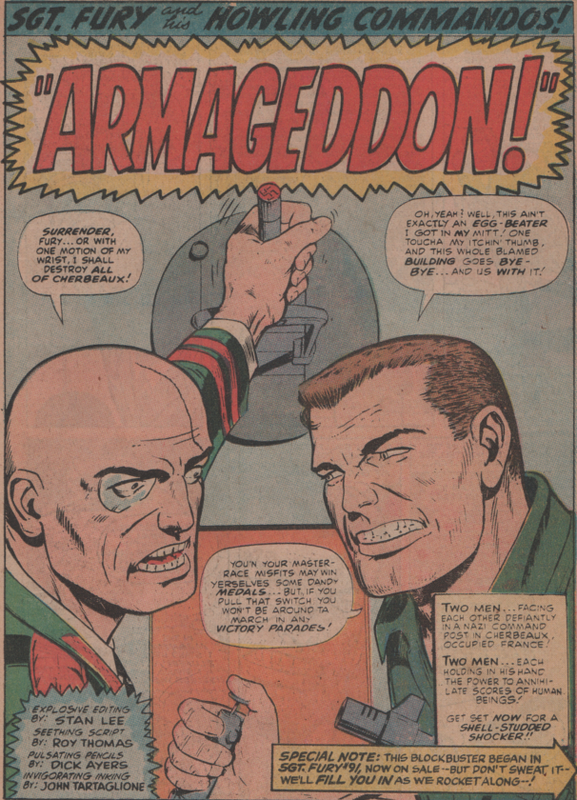 Both men have left a lasting impression on the industry for sure. 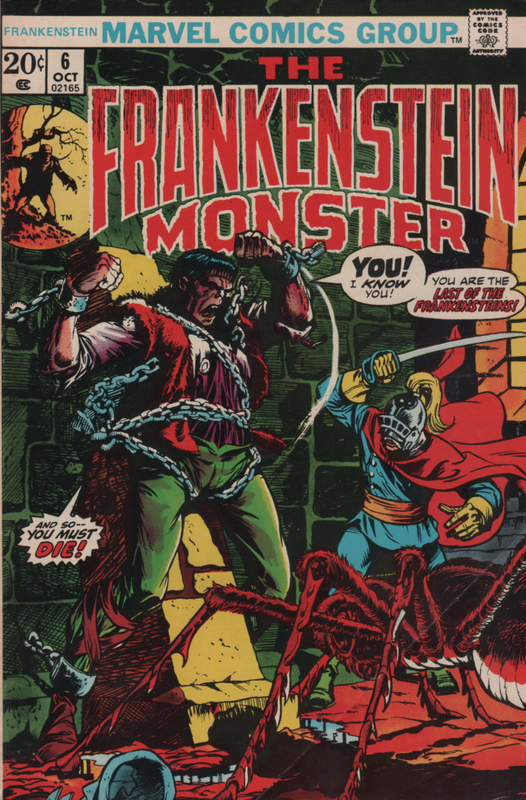 In this issue, you get some really great material, as the Monster fights knights, an angry mob of mutants, and even a giant spider! 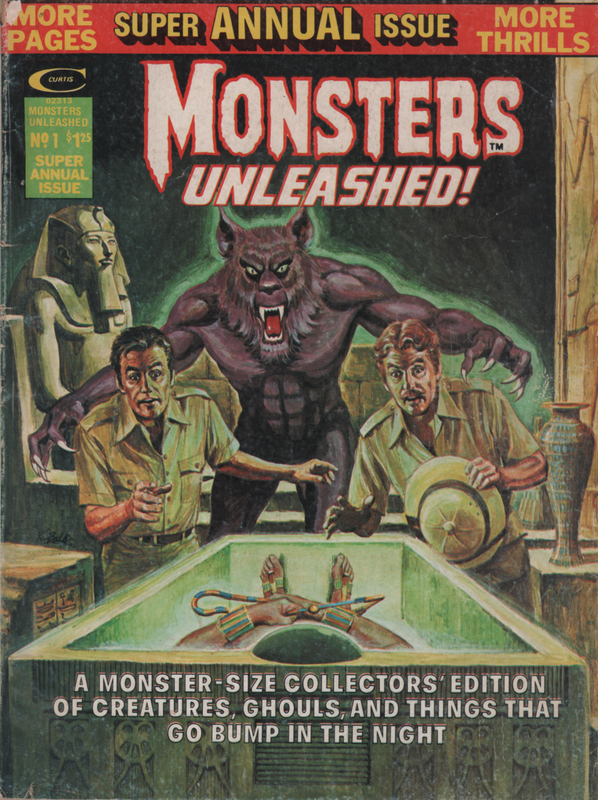 The story is one right out of a fantasy novel, and it suits the Monster perfectly. 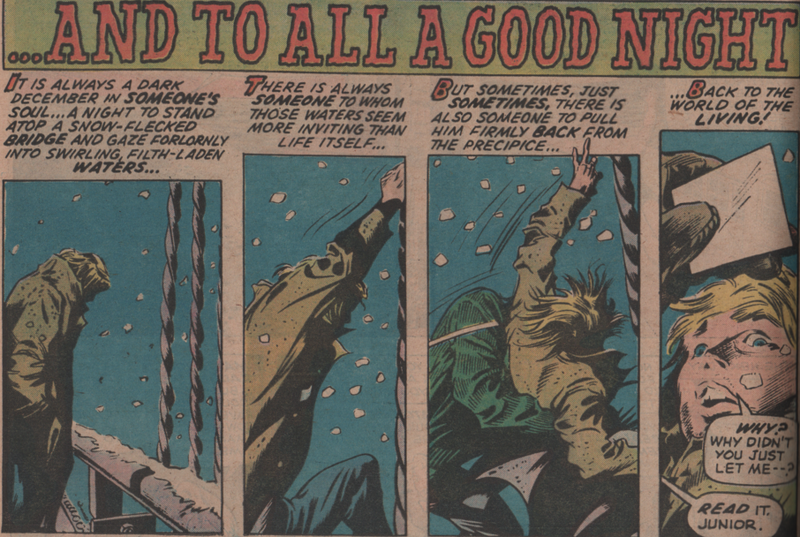 There is always that feeling of sorrow for him, but seeing him perform acts of heroism is also refreshing. 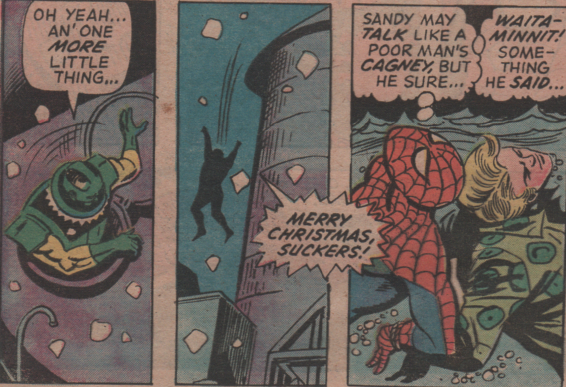 At this point, he’s not just a mindless beast, but sentient. 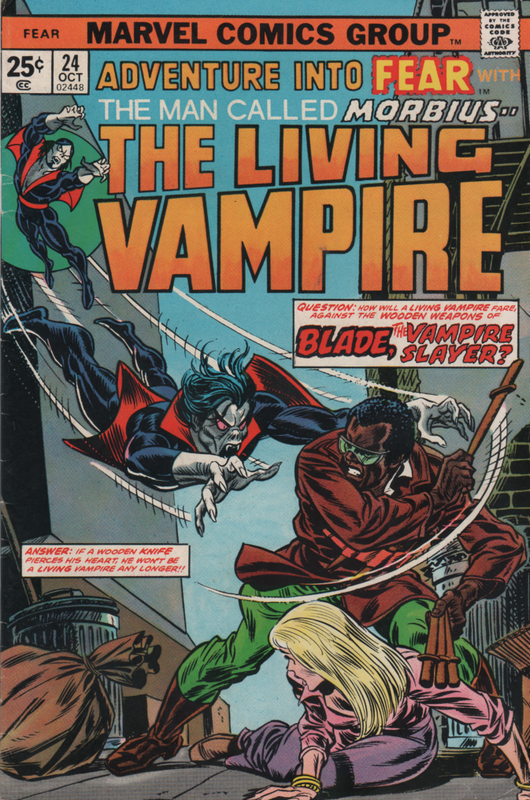 Definitely pick this series up as it’s one of a kind. 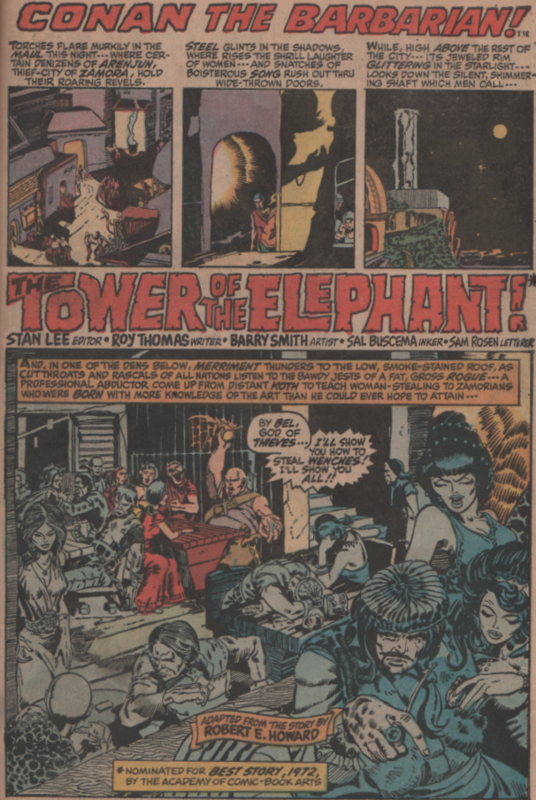 John Costanza (letters), Glynis Wein (colors), and Roy Thomas (editor), round out the creative team. 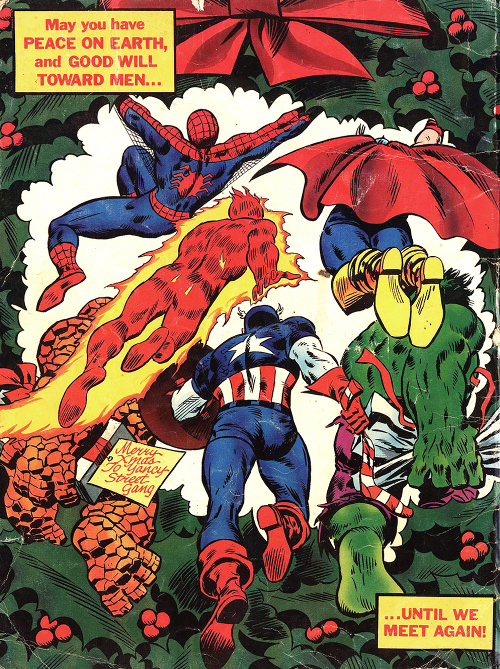 Annuals can be tough as far as finding good material. 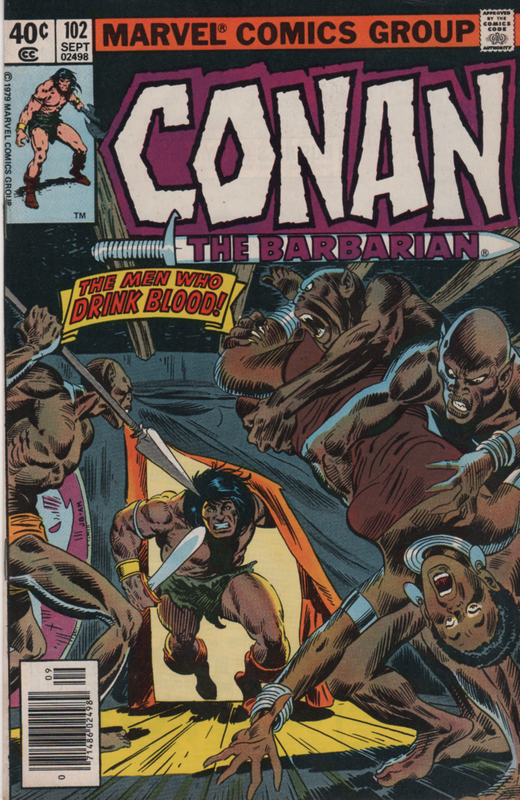 A lot of the time they’re just reprints, so if you own the content in another form, it’s kind of a waste of money. 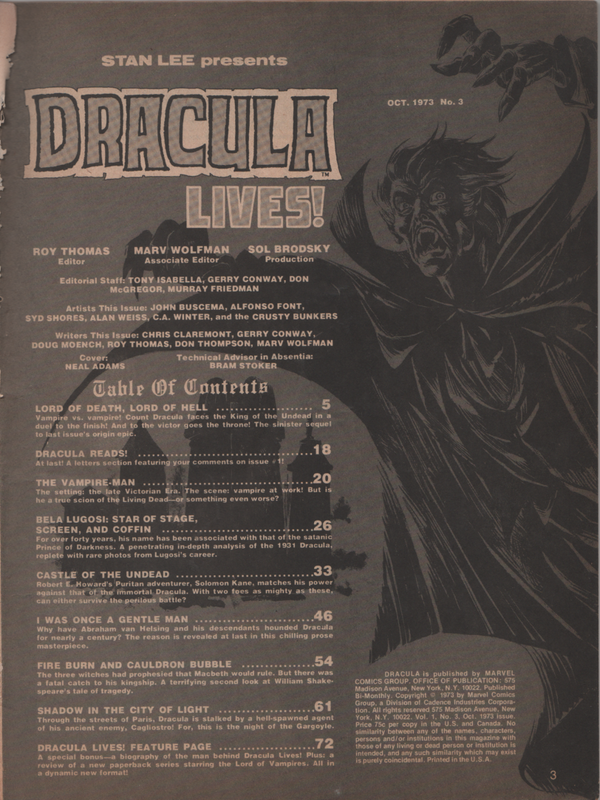 This mag gives you no new content, but does have a cool cover and a couple of new stories to make it worth the dough. 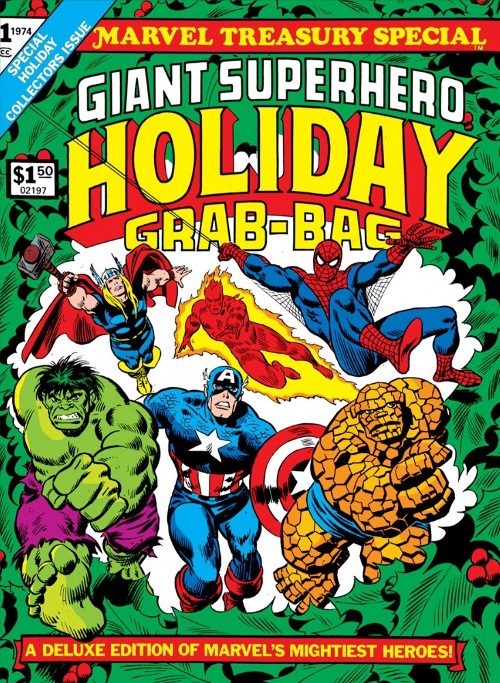 And of course, if you’re a completest, you must buy it anyway! 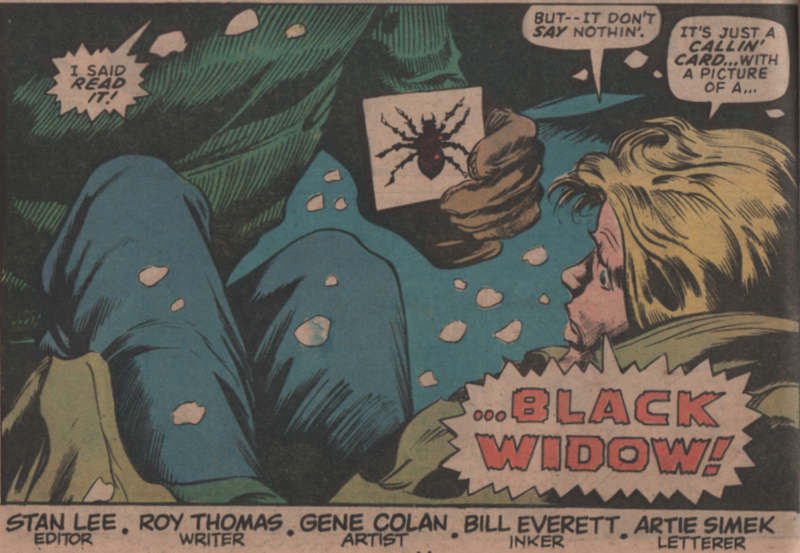 Of course you get all top-notch creators from Marvel at the time in this one. 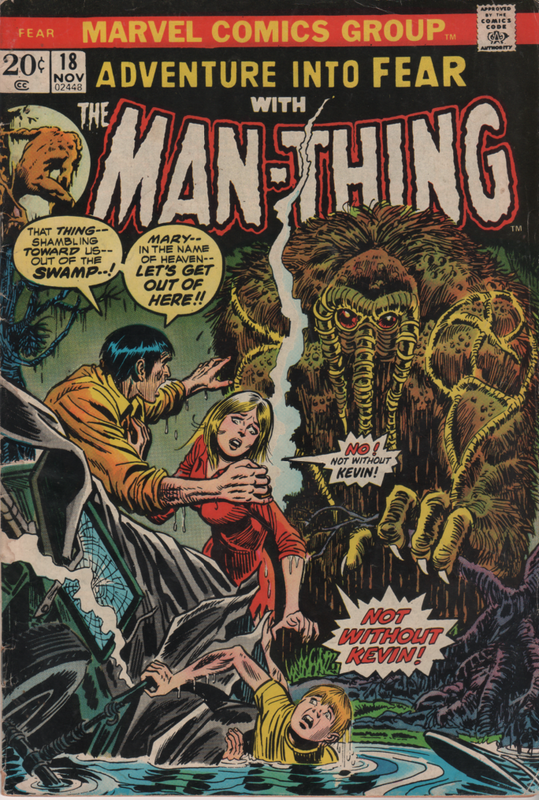 Seeing some of these creators that aren’t known for their horror work turn out such great material is just more proof that this was an incredible time for comics. 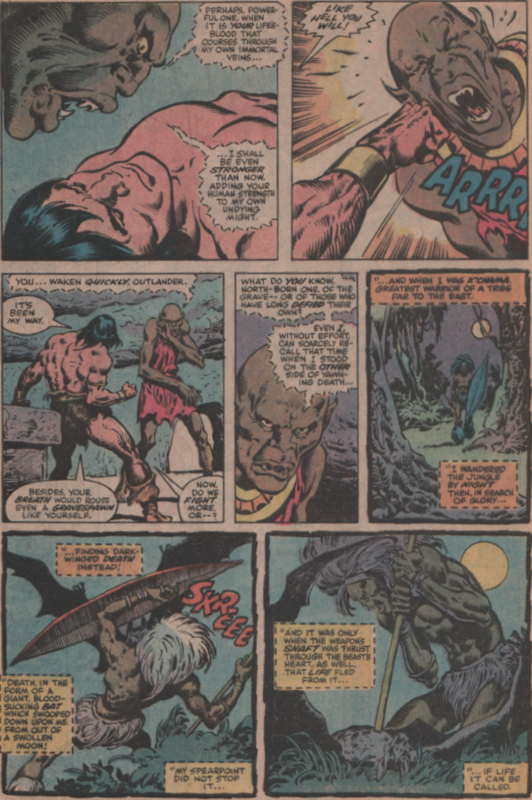 Each one brings their own personality to the stories, and even though some might say these quick little stories are an afterthought, they are very good and stand the test of time. 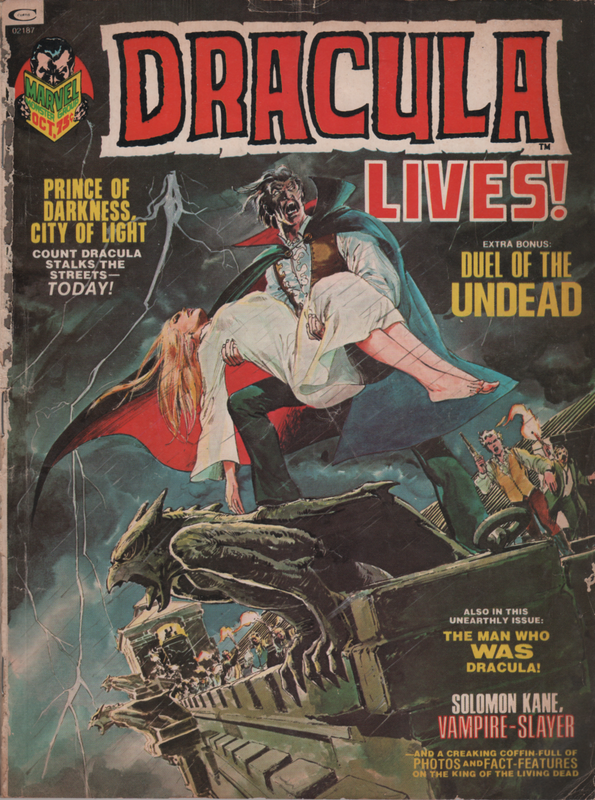 The cover is absolutely fantastic, and artist Ken Bald really brought his best to this one. 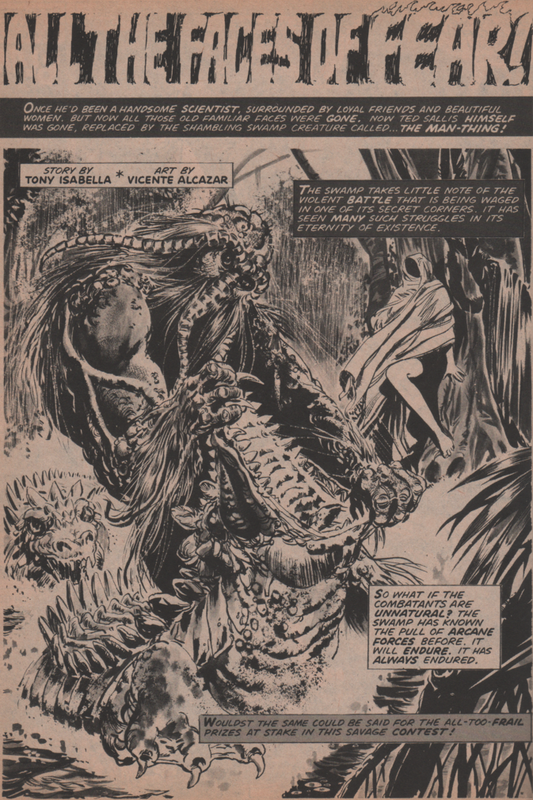 He’s a guy that had worked since the Golden Age, and some of his covers are absolutely gorgeous (look them up!). 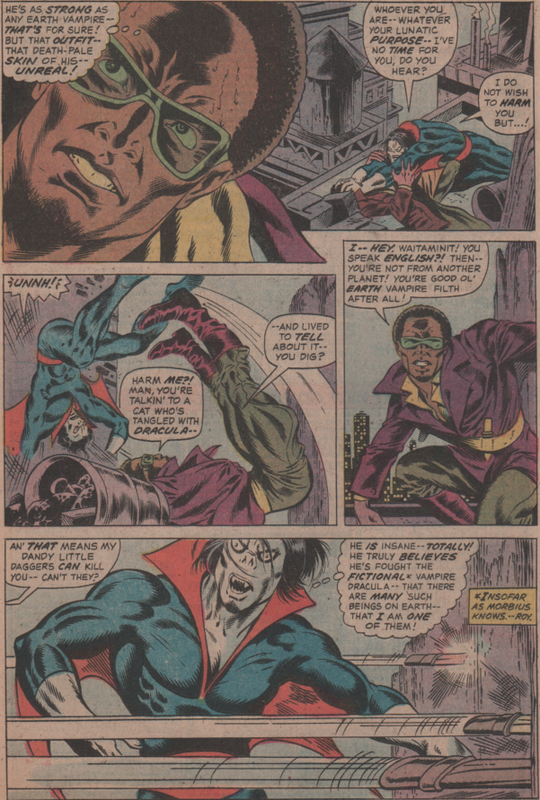 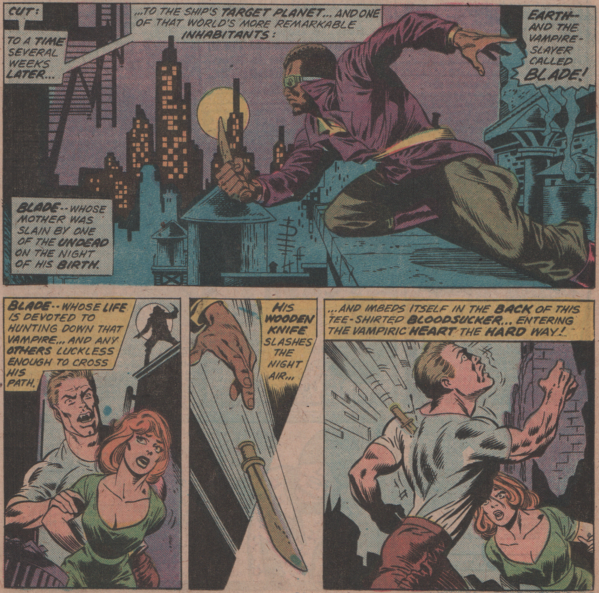 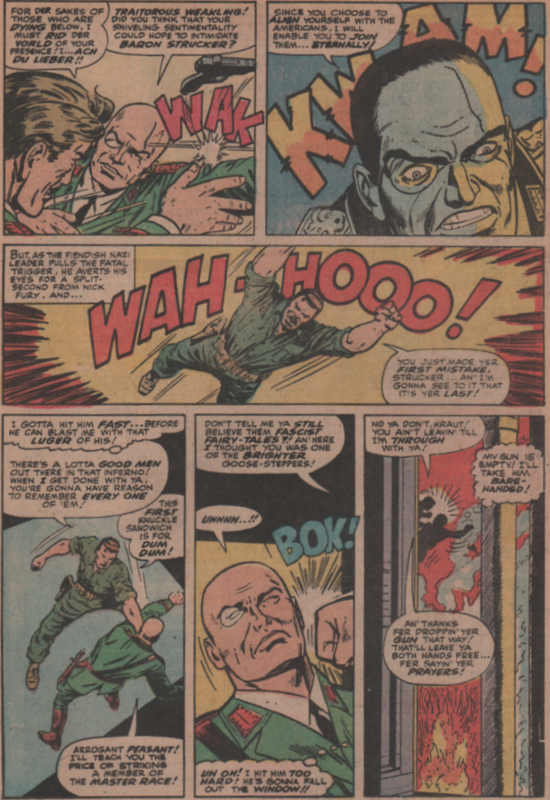 The first full story (The Cold of the Uncaring Moon) is by Steve Skeates (writer), George Tuska (pencils) and Klaus Janson (inks). 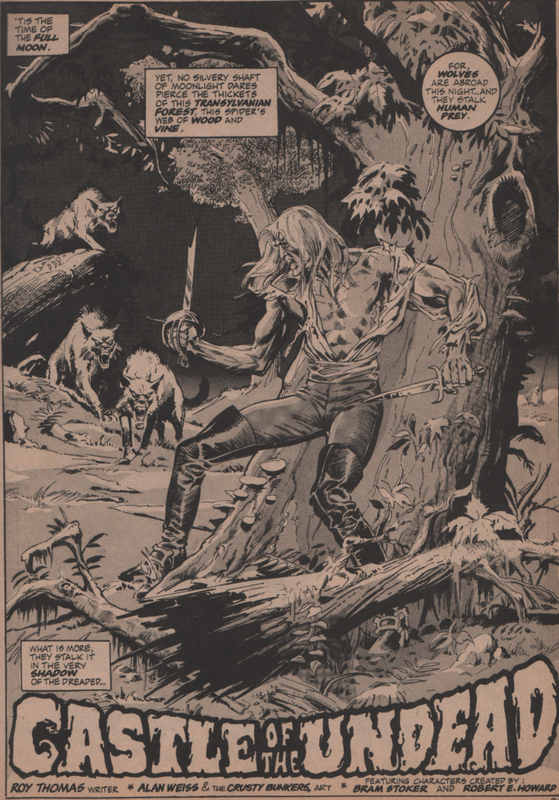 There’s nothing like a good werewolf story to get the mag started! 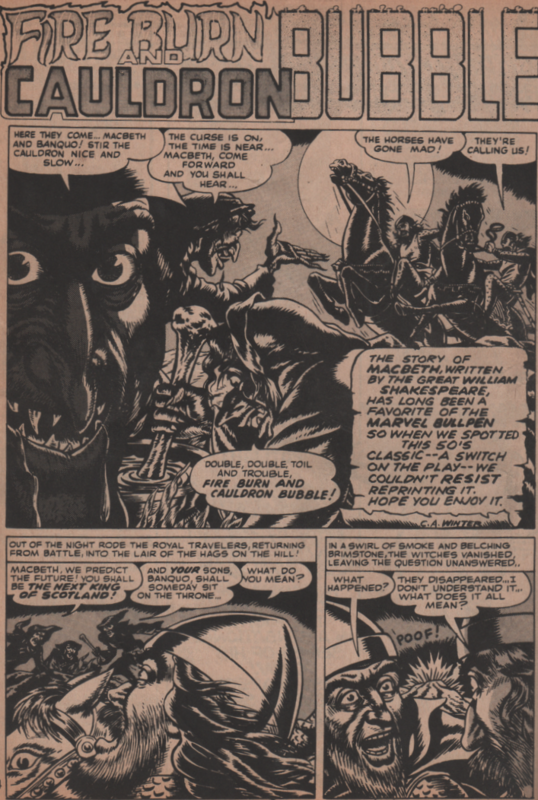 Next, we get World of Warlocks! 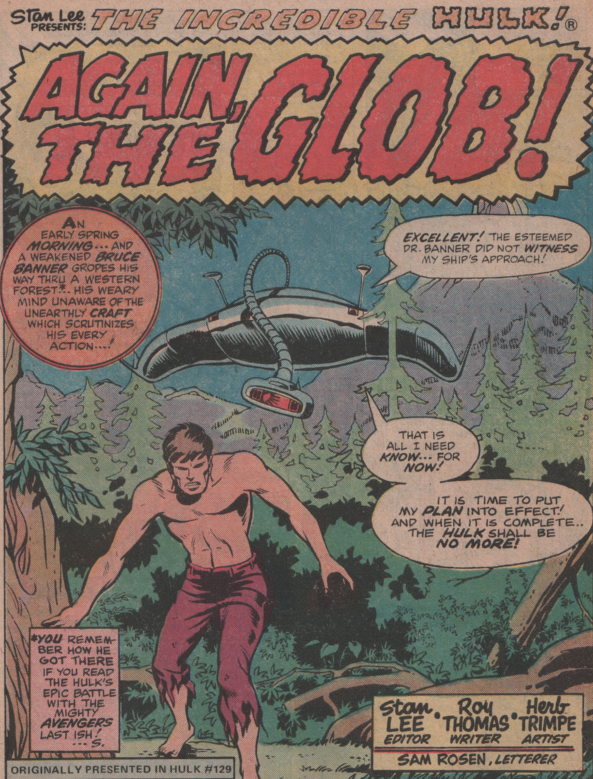 This one is brought to us by Roy Thomas and Gardner Fox (story/writers), and Gene ‘The Dean’ Colan (artist)! 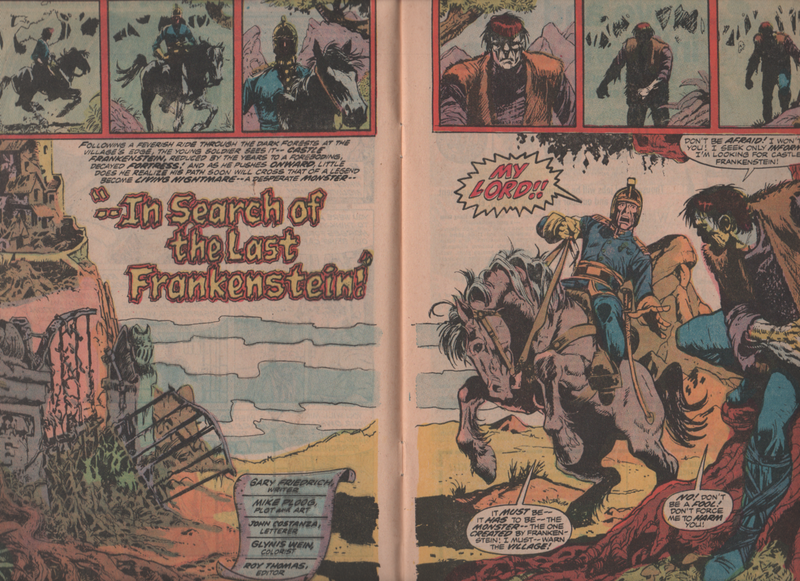 This incredible tale of fantasy is a great one! 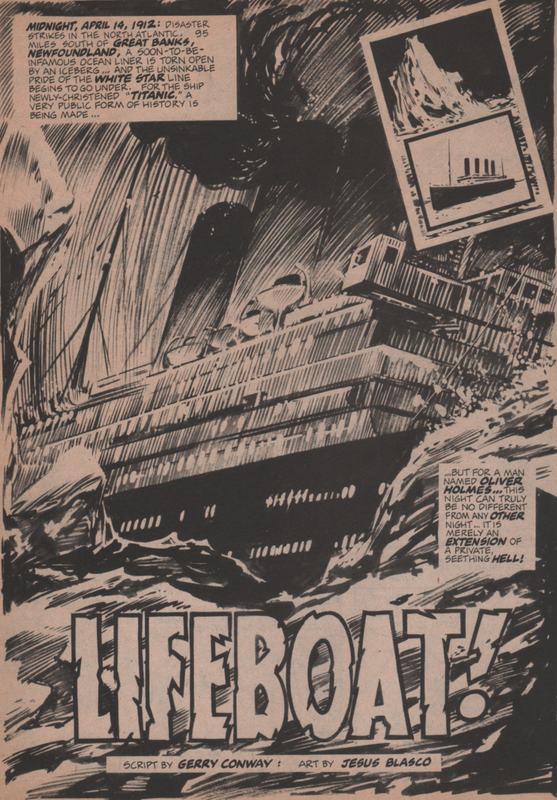 “Lifeboat” follows, and Spidey-scribe Gerry Conway (writer), and Jesus Blasco (art) shows us what terror really is! 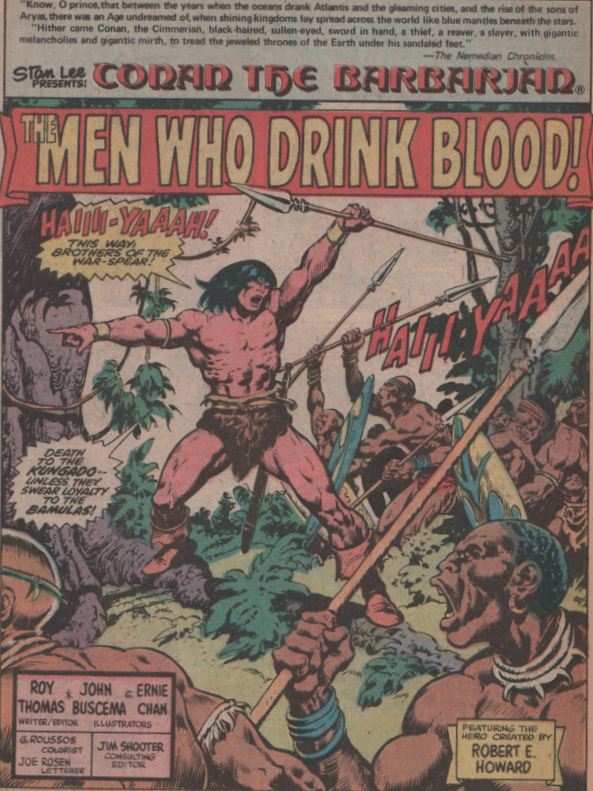 The writer of the next story, Don McGregor, is one of my favorites, and doesn’t really get credit for much other than his Black Panther work. 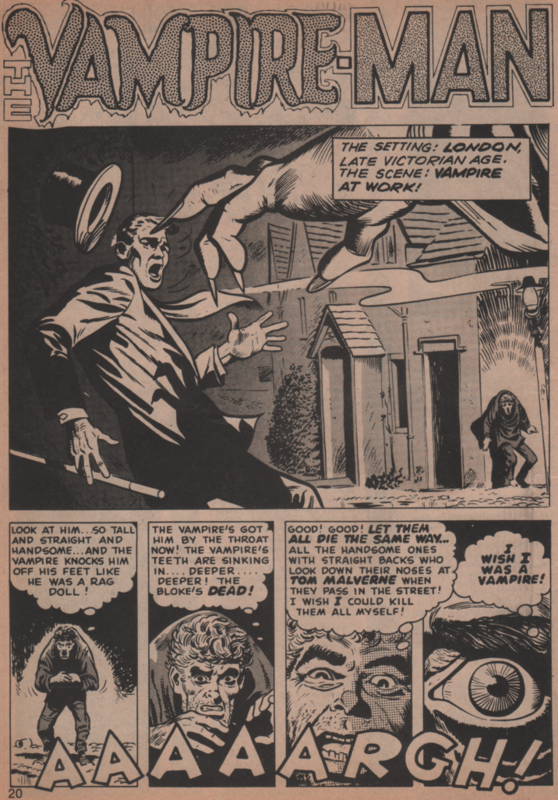 The guy wrote some really good horror stories, and “Demon of Slaughter Mansion” with art by Juan Boix is no exception! 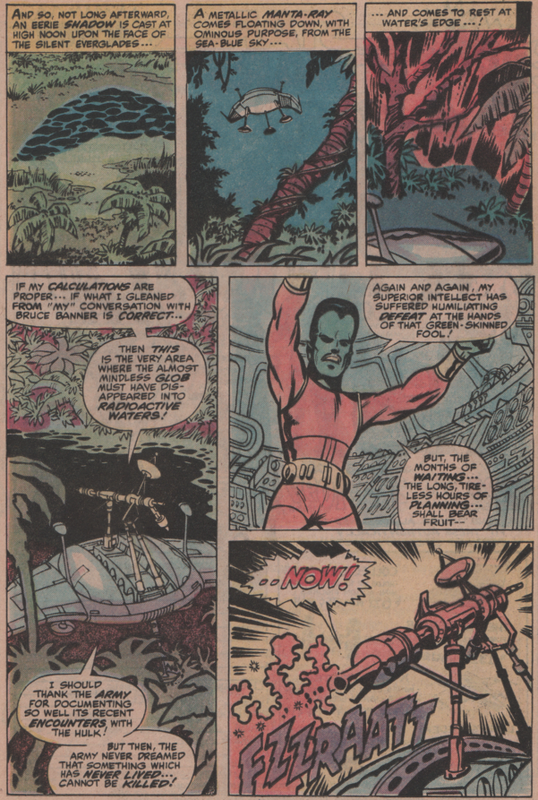 “Birthright,” has a giant serpent-type creature terrorizing a jungle that inhabits most;y peaceful people. 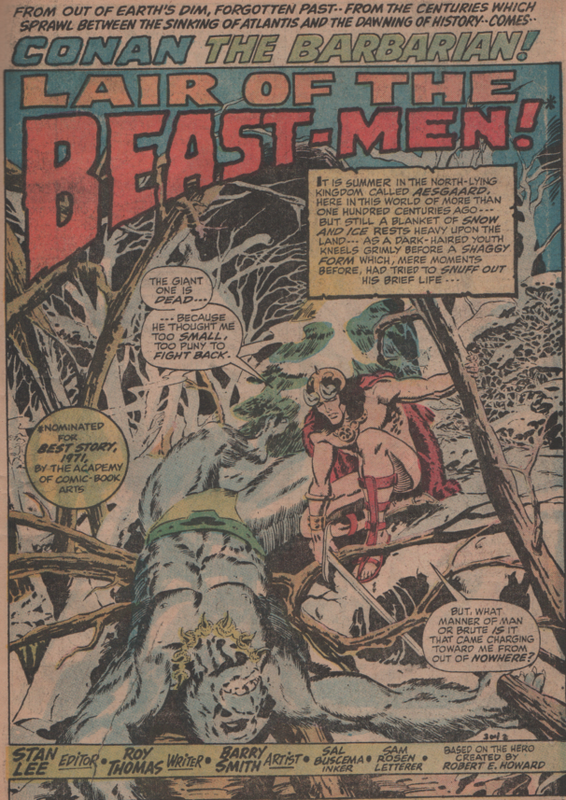 Roy Thomas (writer), Gil Kane (pencils) and The Crusty Bunkers (inks) bring us this tale of fantasy! 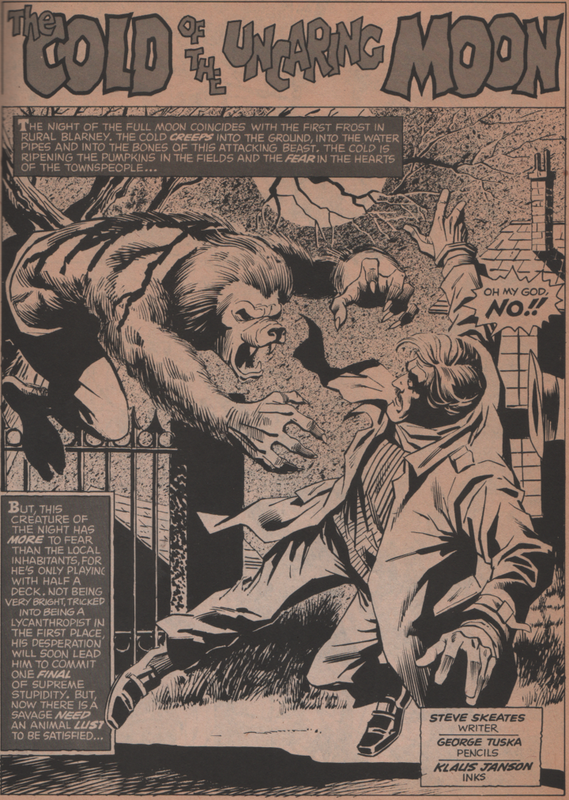 What does Jack the Ripper and a werewolf have in common? 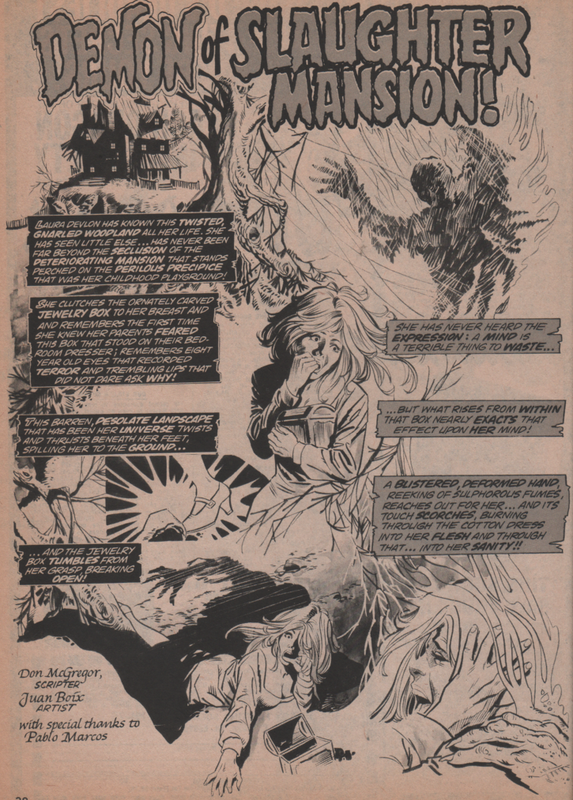 Chris Claremont (writer) and Don Perlin (art) know, and they weave a tale to show us. 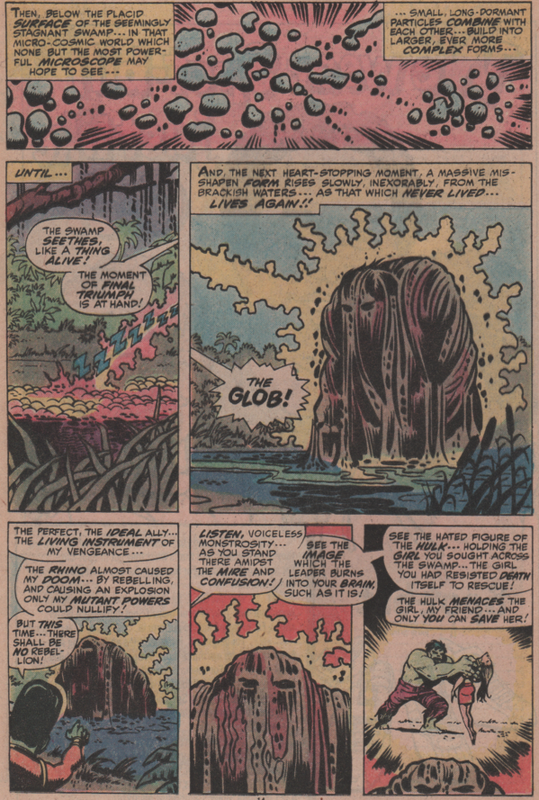 Finally (almost), we see the notorious muck monster, Man-Thing, and he must face not only vicious alligators, but vampire bats as well! 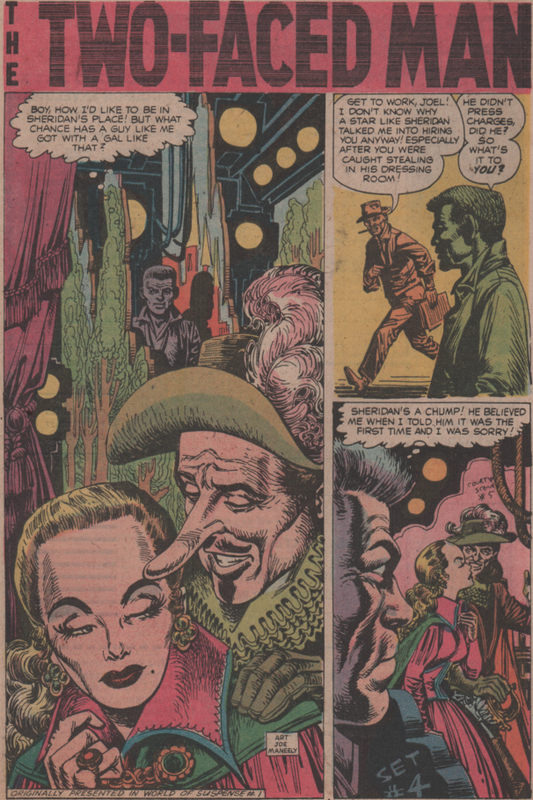 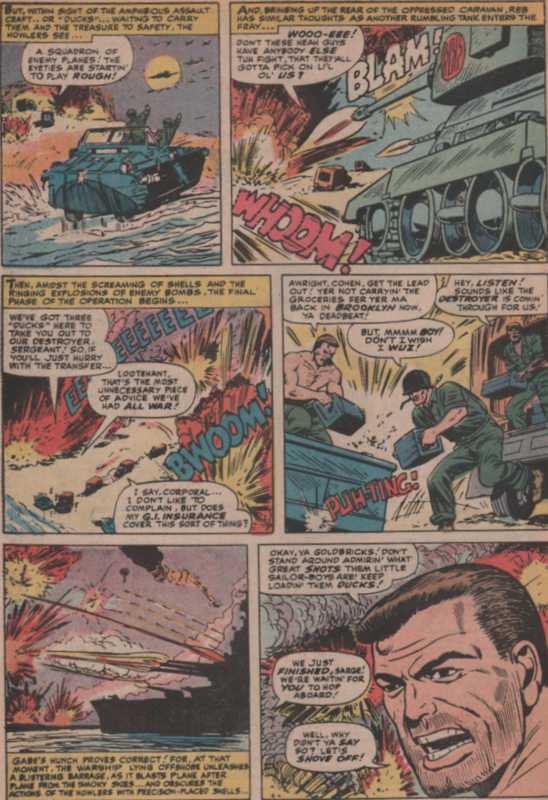 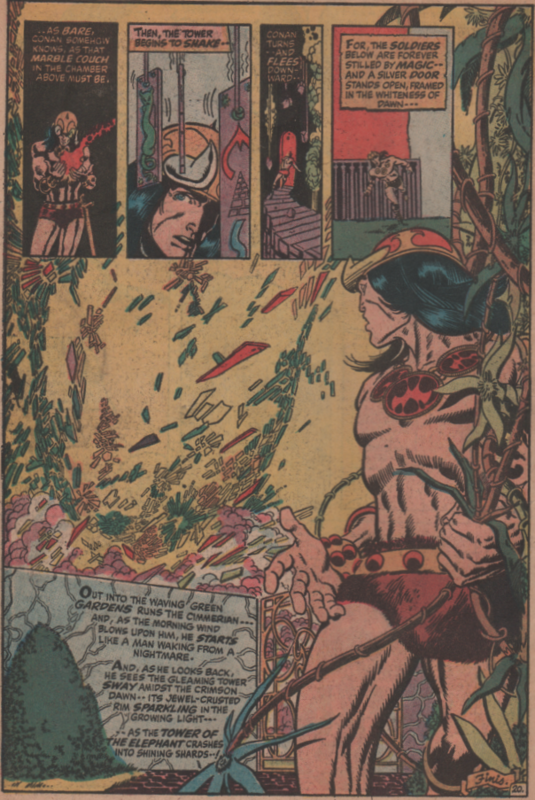 Story by Tony Isabella and art by Vicente Alcalzar. 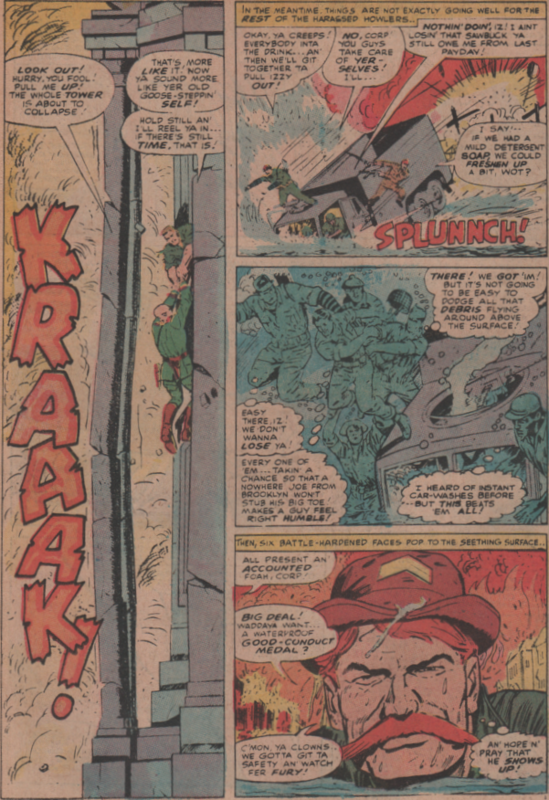 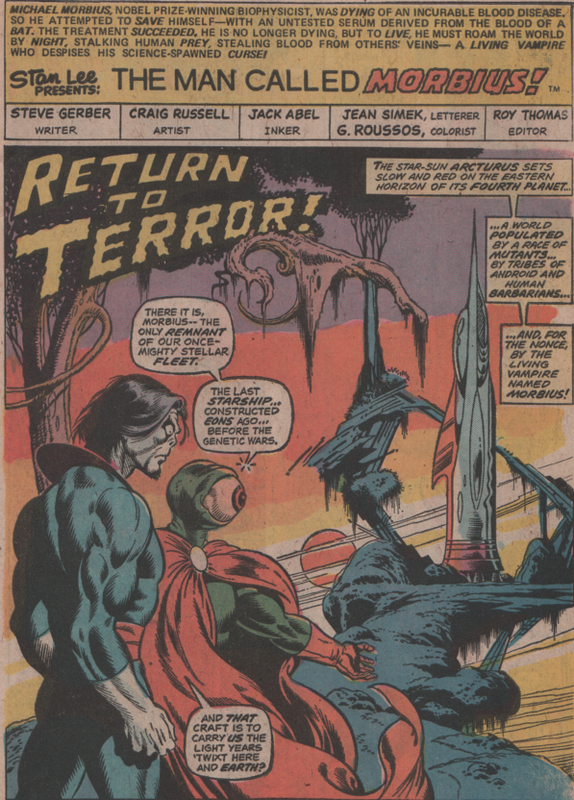 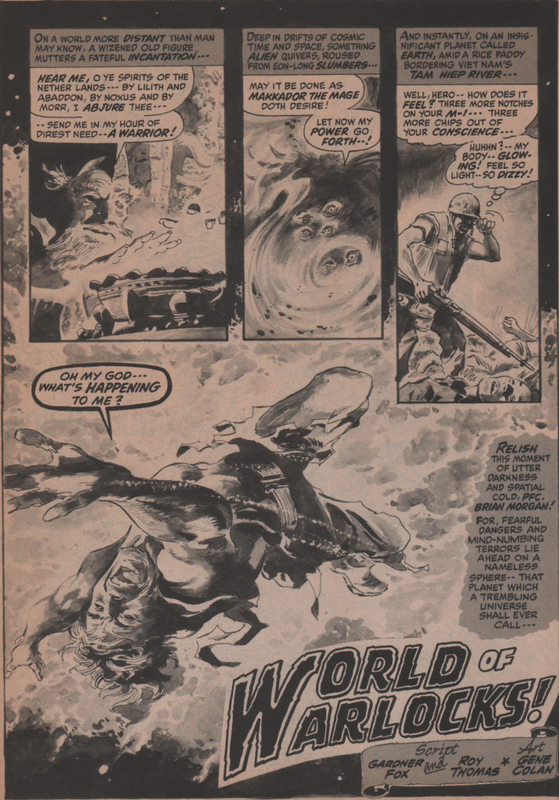 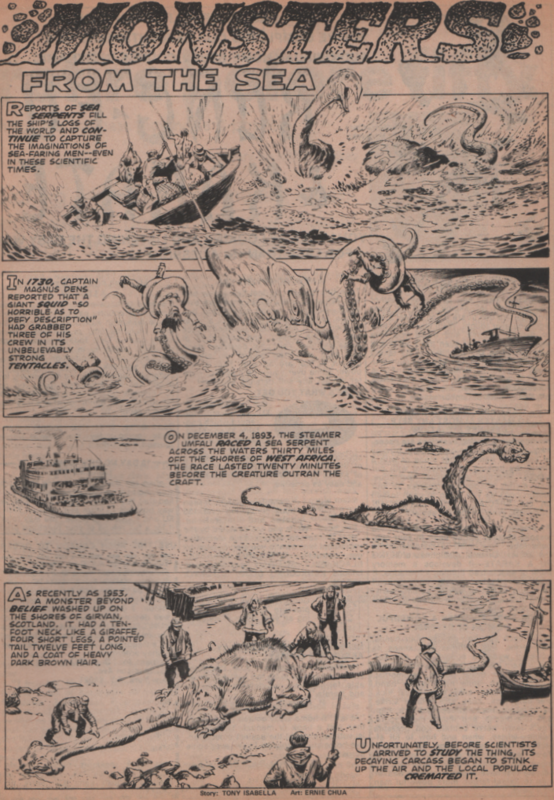 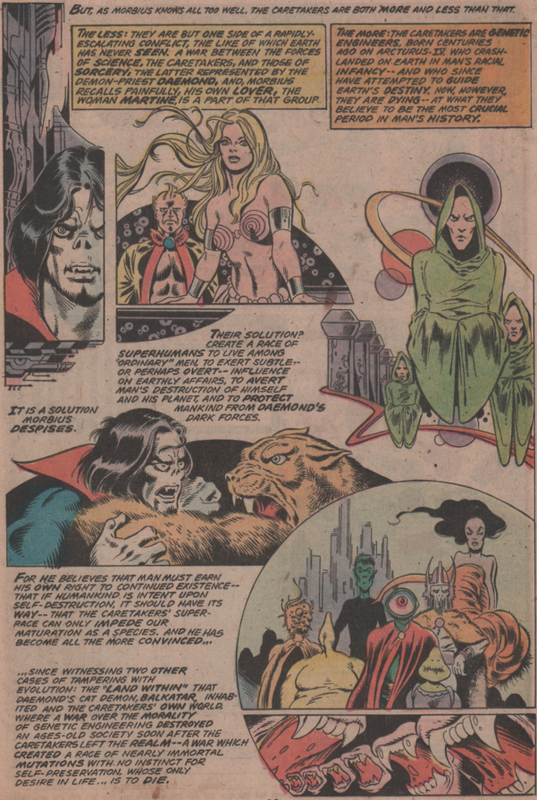 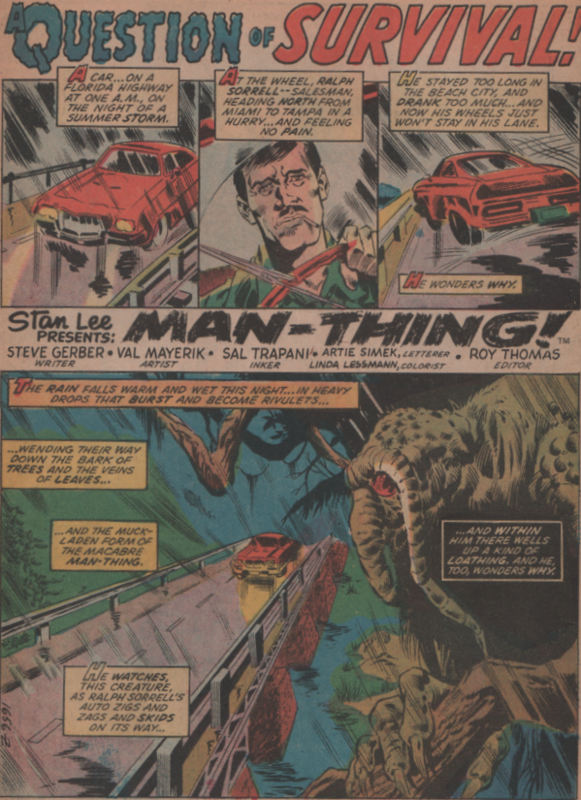 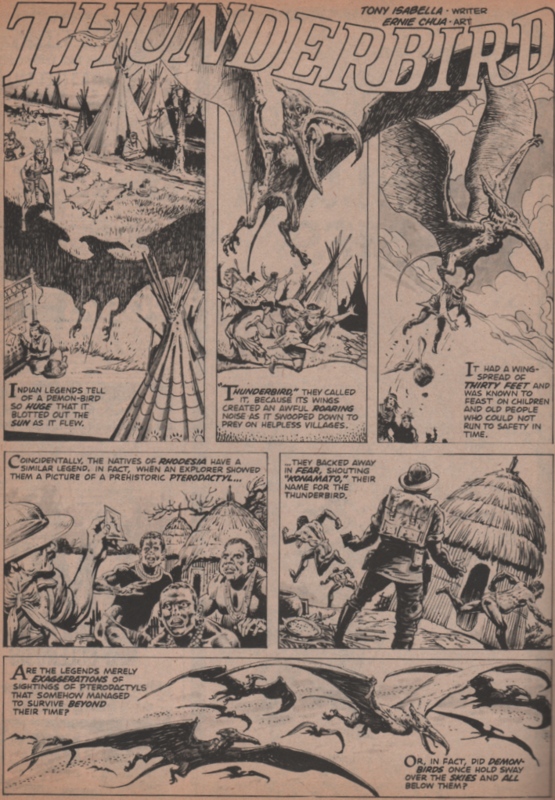 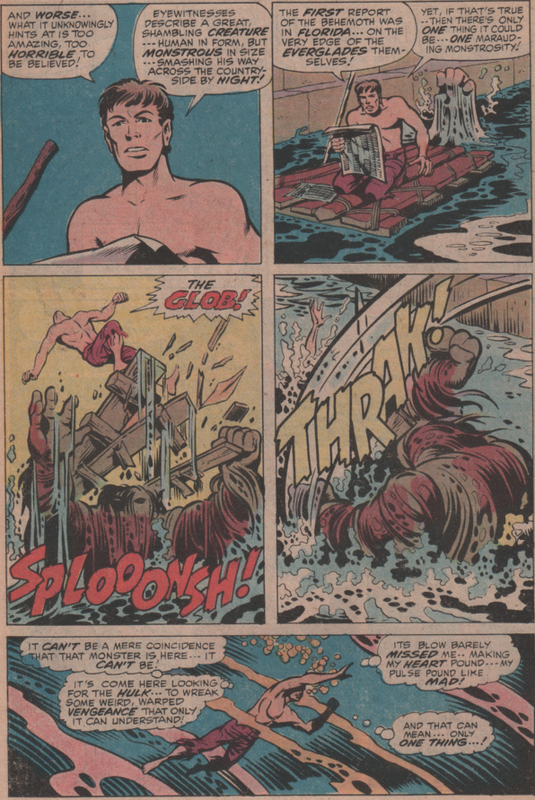 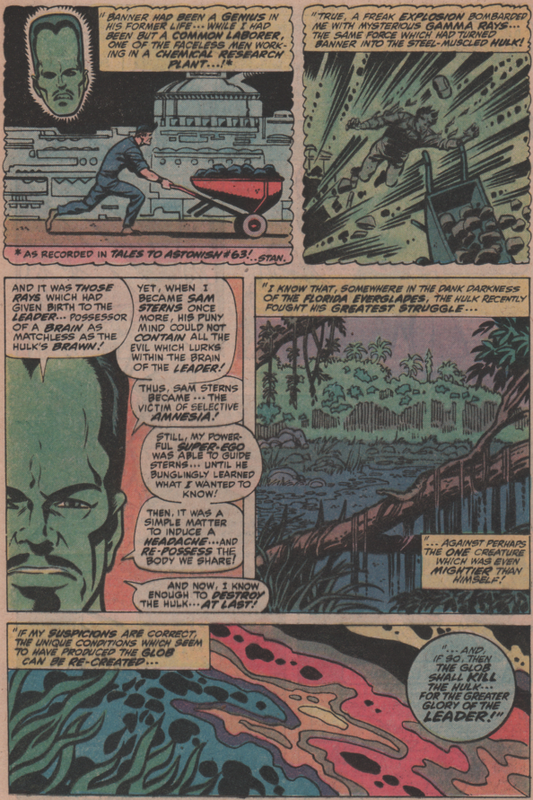 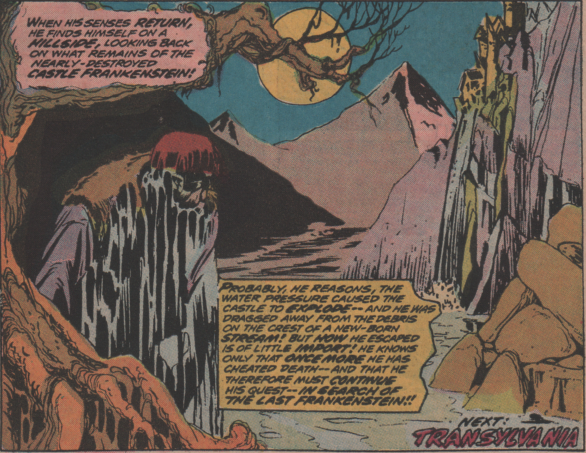 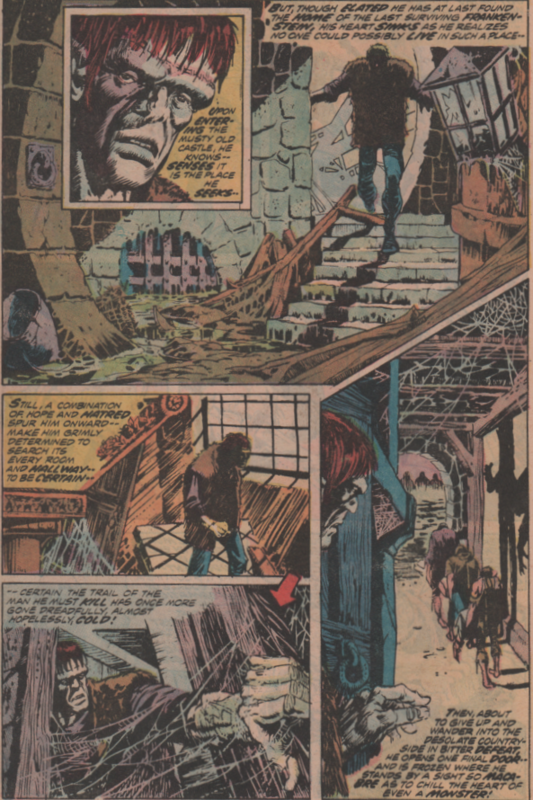 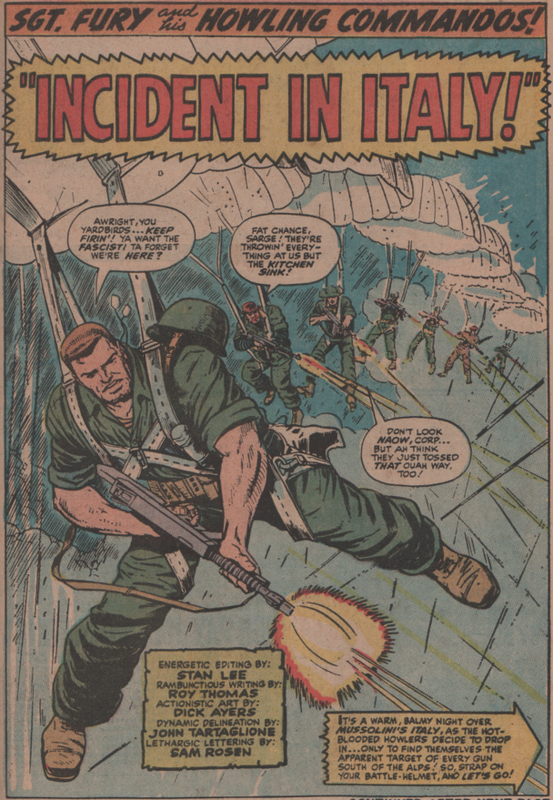 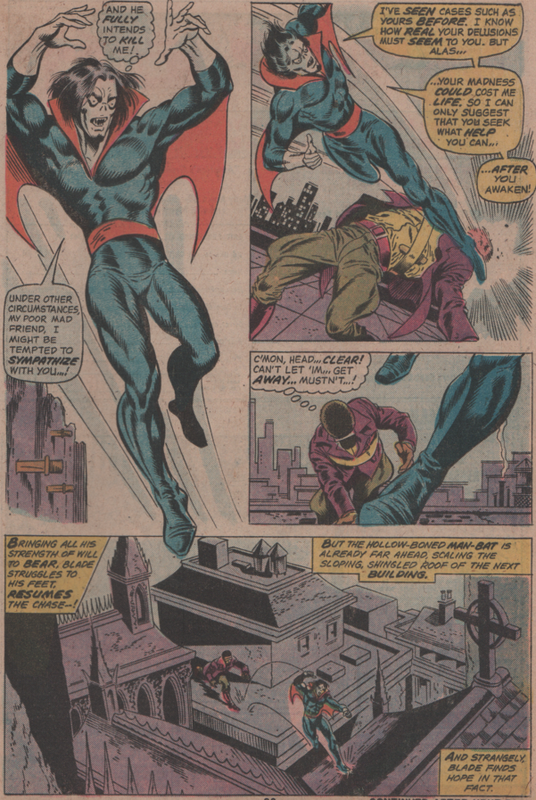 There are also three one-pagers “Thunderbird” “They Might be Monsters” and “Monsters from the Sea” by Tony Isabella and Ernie Chan (Pablo Marcos) on art for the They Might be Monsters story)!